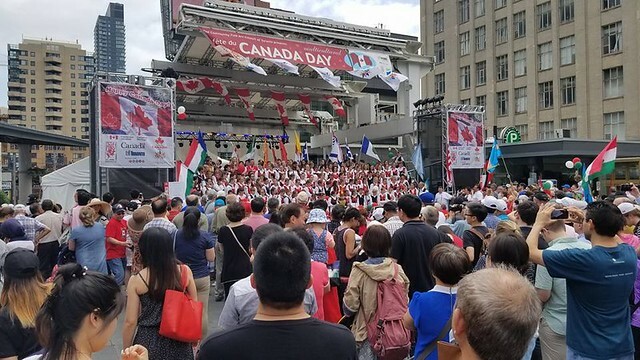 The Community Folk Art Council of Toronto, a non-for-profit organization, is proud to present the 11th Annual Multicultural Canada Day Celebrations- with 2 major events; A parade and celebration at Yonge Dundas square. 10am – 12pm We will be hosting a 150 Celebrate Canada Parade, the “ Parade of Nations”, with participants of over 20 countries and community groups, with 1500 individual participants, from all diverse cultures and ethnic groups in full traditional costumes, proudly showcasing floats about their contributions to Canada. 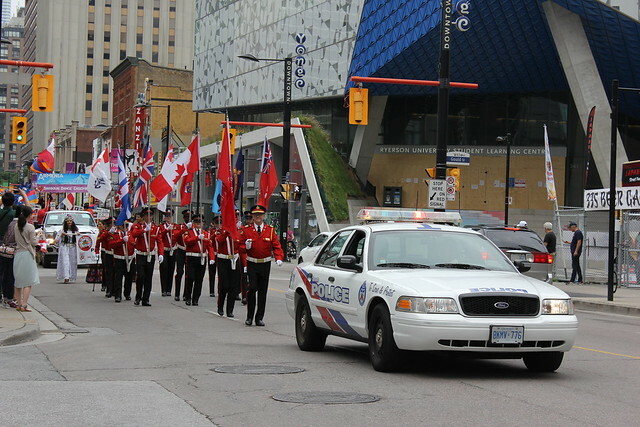 Time 10am – 12pm Parade route Church/Bloor down Yonge ending at Dundas Square. At 12:00pm, we kick off the festival with the opening ceremonies, which include singing of O’Canada, the cutting of the Happy Birthday Canada cake, and then after we directly begin with live performances from multicultural groups showcasing their diversity. These multicultural performances will continue throughout the day, with performances of 30 minutes segment shows ending at 9:00pm.